Home › Home and Kitchen › Our K9 Royal Bark Collar. Medium - Large Size Dogs. Sound And Vibration Pain ..
Our K9 Royal Bark Collar. Medium - Large Size Dogs. Sound and Vibration Pain Free Anti Bark Collar. PAIN FREE DESIGN - Uses Sound First then Vibration to provide safe training cues. COMFORT FIT SIZES - Choose any one of our nine K9 collars ranging from small (4 lbs.) to X-large (100 lbs.) to ensure they fit and suit your canine comfortably. ALL Our K9 No Bark Collars come with Comprehensive Users E-Manuals + Instructional and Training Videos. Your User E-Manual will be sent to you by E Mail. This will allow for Translation, enlarging font size, movement between phone, tablet and laptop. We do not put instructions in the box. CHOOSE THE CORRECT BARK COLLAR - Our K9 has 9 (nine) different Anti Bark Collars ranging from Toy (4 lbs.) to Large (100 lbs.) to ensure they fit and are correctly suitable for your particular dog needs. SORRY BUT THIS COLLAR IS NOT SUITABLE FOR A HAVANESE, DACHSHUNDS OR POMERANIAN. ONE YEAR WARRANTY - Comes with a 1-year unlimited warranty and a 30-day risk free guarantee. ADDITIONAL GUIDES - Our K9 actively encourage all responsible dog owners to train their dogs correctly and included 3 extra dog training e-books free of charge. Train your dog's behavior with a pet safe bark collar that helps them learn without hurting their bodies or their confidence. Whether you're looking to keep your dog more audibly obedient, but don't wantto turn to painful methods of shock therapy or spiky choke chains, choose ahumane, safe choice with the Our K9 Vibration Bark Collar. 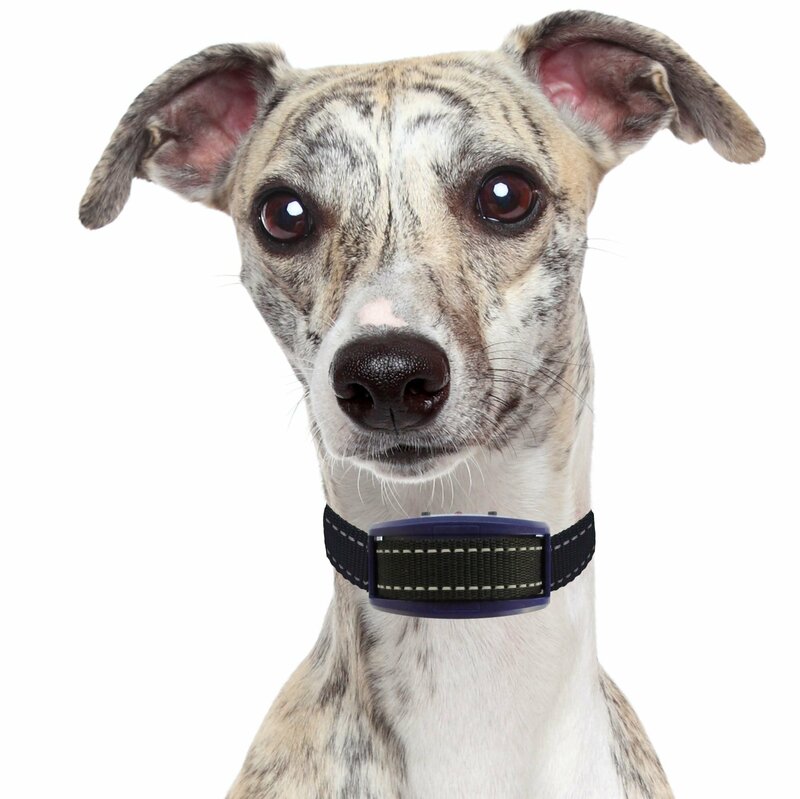 A unique petcollar that uses Vibration to help them know when they shouldn't bark, you cantrain your dog on the leash, at the dog park or at home so they stay quietwhenever someone visits, walks by or even says hello. You love your dog, butyou don't have to love how loud they are. Get the Our K9 Bark Collar andprovide them with safe, gentle reminders not to bark so you can enjoy morepeace and quiet. Product Details: Nine (9) Sizes from Toy to X-Large Fit Puppies and Dogs from 4 lbs. to 100 lbs. Comfortable, Form Fit Design Safe Vibration Training Reflective for Low Light Safety Includes Spare Batteries Unit Weight: 36.6 grams or 1.29 oz. BONUS: Each order comes with 3 comprehensive dog training EBooks THIS PRODUCT DOES NOT SHOCK YOUR PET Help training the perfect dog with a bark collar that's safe, easy to use, and helps break bad habits. Click 'Add to Cart' now to start your training immediately.